As part of our commitment to promoting and using alternatives to automobile-based transportation, we are developing a Bicycle Resource Center at Black Butte. This includes a stable of "loaner" bicycles available for the use of visitors to our site as well as basic bike repair facilities. Our goal is to let visitors enjoy the unique features of this sensitive ecological area without depending on cars. Popular bike trips from our site include: College of the Siskiyous, downtown Weed, the trailhead for climbing Black Butte, Mt. Shasta lava beds, various railroad photo locations, Summit Lake and various "back roads" in the Shasta-Trinity National Forest just to the east of us — as well as the nearby south Weed truckstop area, where you can put your bike on a "STAGE" county transit bus and go to Yreka, Dunsmuir, Mt. Shasta City, and other locations. Many of our bikes have been donated to us. Others have been salvaged at the Black Butte Dump or from thrift stores in Weed and Mt. Shasta. They have then been rebuilt and tuned up at our site. 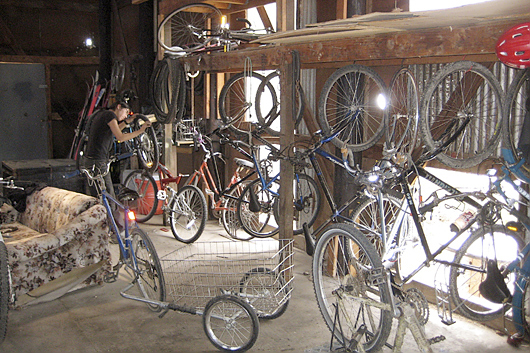 The bikes and repair facilities are located in our newly reconditioned barn/tool shop. 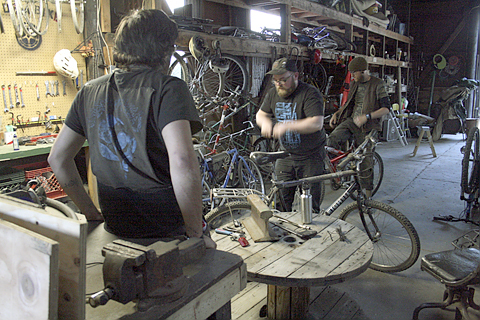 This project has been inspired and facilitated by some of the key founders and members of the Bike Church in Santa Cruz. We hope to continue and expand our relationship with the Bike Church in future years. 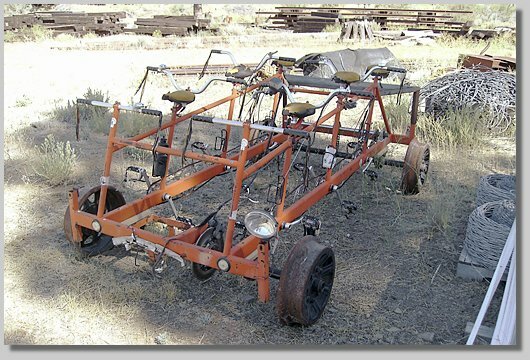 In November, 2007 we acquired a "one of a kind" six-person rail bicycle through a donation from the Western Pacific Rail Museum in Portola, California. 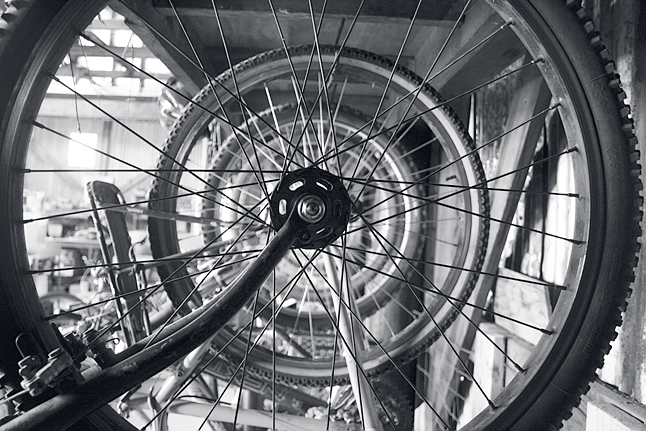 The bike was built in 1988 by mountain bike builder Mark Norstad, who runs Paragon Machine Works in Richmond, CA. After several years of occasional use, he donated it to the museum in Portola. In 2009-2010 we extensively rebuilt the bike in our shop. Now named the "Bindlestiff Express", the bike is again fully operational. In September, 2010 BBCRC members took it on the road to Santa Rosa for the "Handcar Regatta" where we were the fastest thing on the tracks!